- 10 million expected to vote - 4 candidates for president - 950 candidates for 230 seats Ghanaians vote on 7 December for their president and parliament for the next four years, in an election which some say is being influenced by former military strongman Jerry Rawlings. The victory of President Kufuor in 2000 marked the end of some 20 years of rule by Mr Rawlings. How do the elections work? : To become president a candidate must win over 50% of the vote in round one. If no-one achieves this the two front-runners battle it out in round two. Voters will also decide all 230 seats in the single-house parliament, up from 200 four years ago. These elections are based on a first-past-the-post system. More than 10 million people are expected to vote. Who is running for president? The main players are as in 2000. Incumbent President John Kufuor is backed by the governing New Patriotic Party (NPP). An Oxford graduate and a lawyer by profession, Mr Kufuor is widely known as "the gentle giant".His closest rival is, again, John Atta-Mills, the candidate of the main opposition National Democratic Congress party (NDC). Mr Mills served as Mr Rawlings' vice-president from 1996 to 2000. He also has a background in law. The third contender is Dr Edward Mahama of the socialist Grand Coalition party. He ran in the previous two elections, but secured less than 3% of the vote in 2000. Completing the list is the little-known George Aggudey, backed by the socialist Convention People's Party (CPP). What happened last time? In 2000 Mr Kufuor won 48% of the over 6.6m votes, to Mr Mills' 41% in the first round. In the run-off the score was a comfortable 57% to 43% in favour of Mr Kufuor. Which parties are contesting parliament? The New Patriotic Party (NPP), led by Mr Kufuor, has governed for the past four years. The NPP won exactly half of the 200 seats in 2000, eight more than the National Democratic Congress (NDC). The National Democratic Congress was founded by former President Jerry Rawlings in 1992. It was in power from 1992 to 2000 and has strong support in rural areas. The Convention People's Party, founded by Ghana's independence leader Kwame Nkrumah, is socialist in orientation. Mr Nkrumah made it the only party in Ghana. After the 1966 coup which ousted him, the party splintered. Led by presidential candidate George Agude, it won only one seat in 2000. The Grand Coalition is a group of three parties which profess Mr Nkrumah's socialist ideals. One of them, the People's National Convention (PNC), won three seats in the last parliament. Independents accounted for the remaining four. What are the issues? The economy: The NPP points to a growth rate of over 5% and a substantial drop in inflation. And it points out that Ghana has qualified for substantial debt relief under a World Bank initiative. But with UN figures saying 44.8% of Ghanaians still live below the poverty line, many feel these figures do not correspond with reality. Dagbon crisis: Dagbon is the homeland of the Dagbamba ethnic group and has a population of about 650,000. In March 2002 the Dagbon king, Ya Naa, and 40 others were killed after an attack on the throne by a rival faction, seen as close to the NPP government. The deaths sparked fierce fighting between clans. The government has failed to apprehend the killers, leading to accusations of complicity. Dagbon itself is polarised along NPP-NDC party lines. Education: An official survey in August 2004 said 42% of Ghanaians regard education as their number one concern. The government announced a new policy in mid-October, introducing free compulsory education up to the age of 16. HIV/Aids: Since the last election, the HIV rate has risen from 2.6% to 3.6%. This is low by comparison with Swaziland and Botswana (over 35%) or South Africa (about 25%). But voters are aware of the growing threat, while the social stigma has led to sufferers losing jobs. This in turn makes people afraid to go for tests. None of the presidential candidates has seriously addressed the problem. What of the media? Election coverage has been intense, dominating phone-ins on Accra's many FM radio stations. Private newspapers and FM stations have been widely criticised for allowing defamatory material. But the state broadcaster, Ghana Broadcasting Corporation, has been at pains to allocate air time fairly. All parties and presidential candidates are given equal space in the state-owned press. In October, radio stations in the Northern Region were banned from broadcasting political discussions. No reason was given, but observers attribute this to political turmoil there. Will there be observers? The Commonwealth, the African Union, the EU and the UN are expected to monitor the poll. 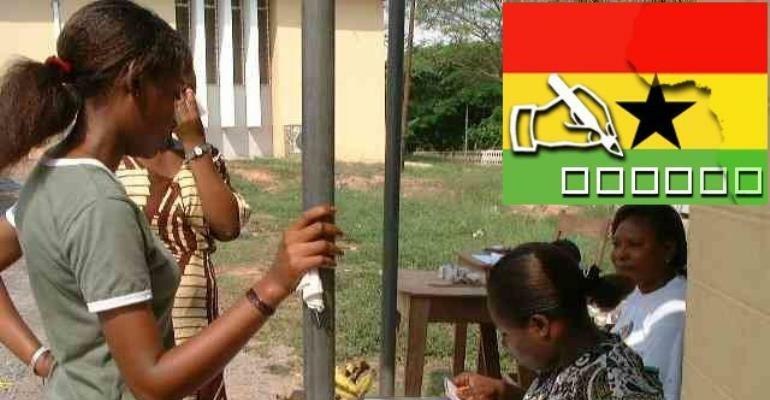 The Ghana Centre for Democratic Development and the Coalition of Domestic Election Observers will field some 7,500 monitors. What is the Rawlings factor? Charismatic former President Jerry John Rawlings has been urging voters to back his hand-picked successor, John Atta Mills. He has also taken decisions and spoken on behalf of the NDC - the party he founded and led as president till 2000. This has strained his relationship with the NPP and with President John Kufour, who see him as interfering. However, Mr Rawlings' role may work against Mr Mills, who some commentators say is overshadowed by his mentor. Mr Rawlings, who stepped down in 2000 after serving his two constitutional terms, has vowed never to return to power.